Everything looks so much cuter when small or mini doesn’t it? 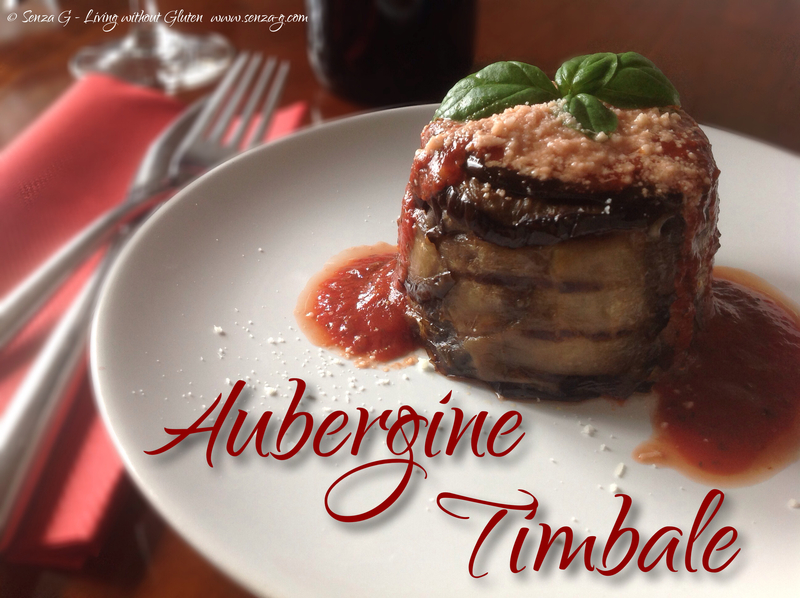 This timbale can be made in a normal springform pan if you do not have the patience, but I thought of making individual portions which would make lovely starters. I only had a small problem when making this dish gluten free. It is not that easy yet to find small gluten free pasta. Normally, you would always find spaghetti or penne or lasagne and canelloni, but not the vast variety you find with normal pasta. I found this small GF Pasta Anelletti and I used those. However, as most of you know, some GF pasta is a bit delicate and breaks very easily when cooked. I did not want to undercook it too much either. It was fine and still firm when I assembled them and it looked perfect, but they did not retain their shape after they cooked further inside the timballo when you have to cook it again in the oven. 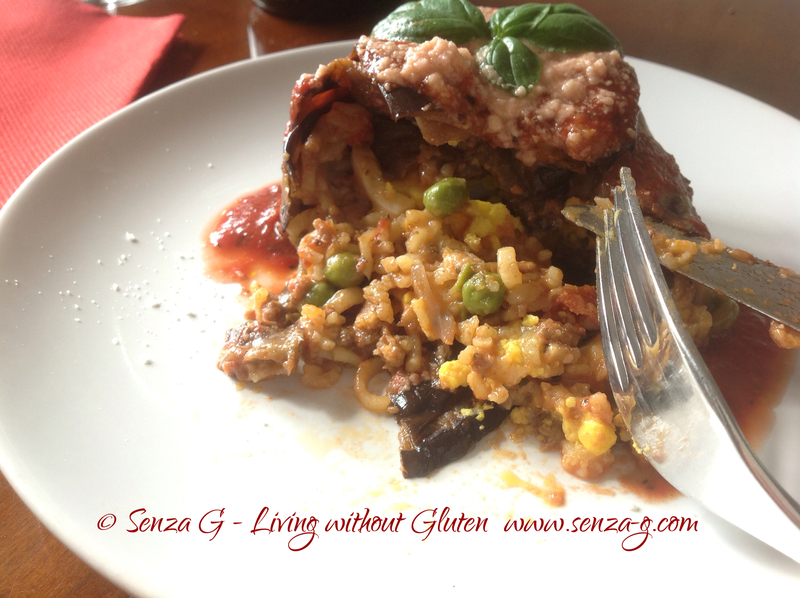 Oh the joys of Gluten Free pasta! However the taste was not effected at all. So make sure you leave it very al dente. Alternatively, you can also make this with rice instead of pasta. Grill the eggplant slices on a griddle and set aside. Sautee the onion and garlic in a little olive oil until the onion is soft, and then add the minced meat and brown. Pour in the wine in and also the water, the tomato paste and the stock powder, season, bring to the boil, lower the heat, add the peas and leave to simmer. The sauce has to be a bit ‘dry’, with not much liquid. Boil the gluten free pasta but leave VERY firm. Mix the pasta with the sauce and add the grated Parmesan cheese, combine gently as the pasta breaks easily. Now grease two ramekin dishes and line them with the aubergine slices, leaving the slices overlapping over the rim of the ramekin dish. Place a layer of pasta mix and then place two egg slices, a scamorza slice and then fill it up with the pasta. Cover the pasta with the hanging slices to close it up, putting another slice to completely cover the pasta. Cover with foil and place in a pre heated oven of about 180 deg C. Bake for about 25 mins. Leave to cool slightly and then place a plate over it, turn it over and slightly tap so the timballo will slip out. I served mine with some plain tomato sauce and some grated Parmesan on top.